"'One day several of us were back of the 'Iron clad' building at the side of Duquesne Way, which was an unpaved quagmire. A young foreigner was wheeling copper ingots unloaded from a freight car on the other side of Duquesne Way. An iron slab served as a run-way for the wheel barrow. The wheel slipped off one side into the soft mud. Our crowd enjoyed the predicament and jeeringly gave advice to the helpless lad. Here was a boss whose first impulse was to help, to set things right, and at the same time to drive home a powerful but unspoken lesson. They were all working together, from top to bottom. 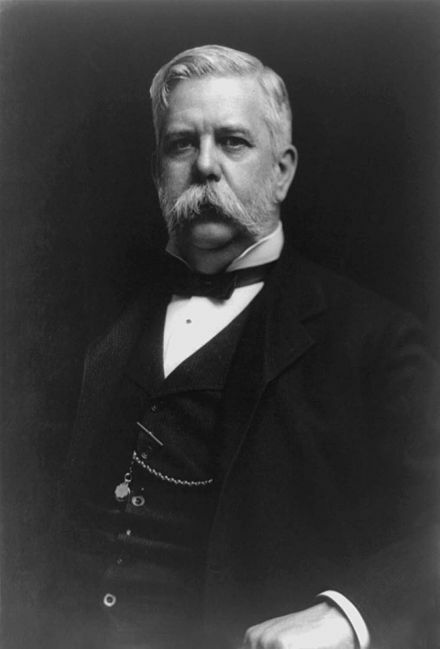 "George Westinghouse, like Edison, thought money was important only as a form of 'stored energy' to use as he wished in his work and expand his businesses. He was interested not in being rich, but in helping the world. He strove incessantly to deliver better, more reli­able products. But he had another goal also. 'My ambition is to give as many persons as possible an opportunity to earn money by their own efforts,' he once explained, 'and this has been the reason why I have tried to build up corporations which are large employers of labor, and to pay living wages, larger even than other manufacturers pay, or than the open labor market necessitates.' After his first trip to England, he instituted a half-day off on Saturdays, beginning in June 1871, the first local firm to do so. Westinghouse companies would be pioneers in worker safety, disability benefits, and pensions."